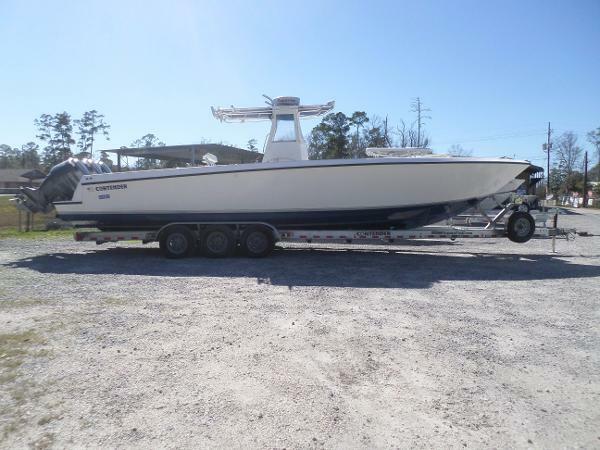 2004 Contender 36 Open Powered by Triple Yamaha F225, 2012 Ameratrail trailer with Spare Tire, Raymarine C120 GPS, FF, Radar, with 1 KW ducer, Autopilot, Stereo with 4 Speakers, Icom 504 VHF, 5 Batteries with 3 Bank and 2 Bank Battery Charger, Curtain Package, Rear Bench Seat. Center Engine is a 2014 F225XA. 2017 Contender 35ST, Nicely equipped fishing machine! 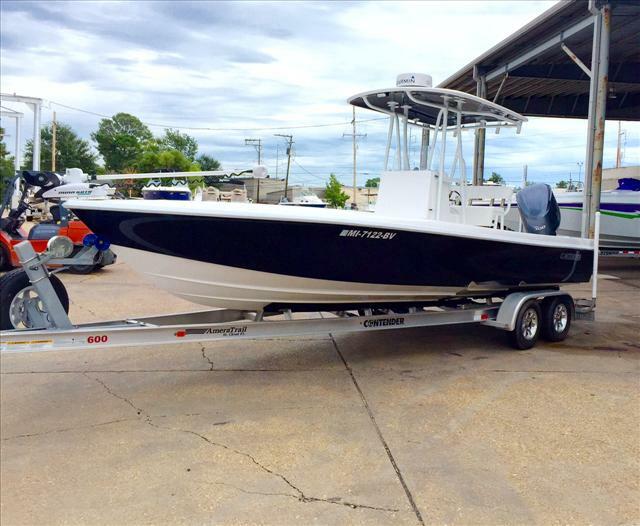 Come by and take a look at this brand new 2017 Contender 35ST. 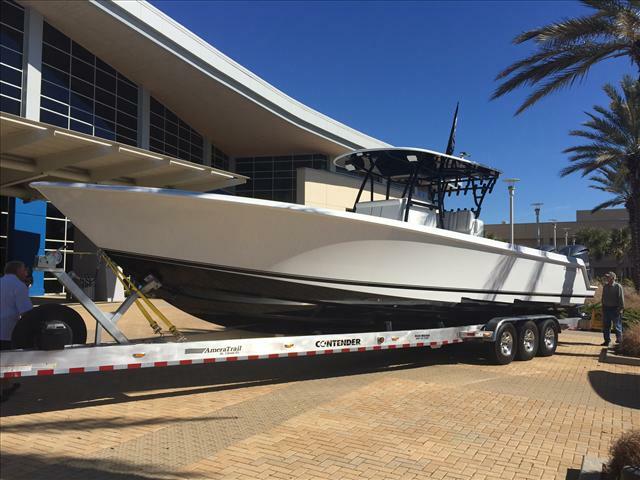 Loaded with tons of options including a custom tackle center leaning post, larger console with side entry door, fish box with gulper pump, sea chest live well system, just to name a few! 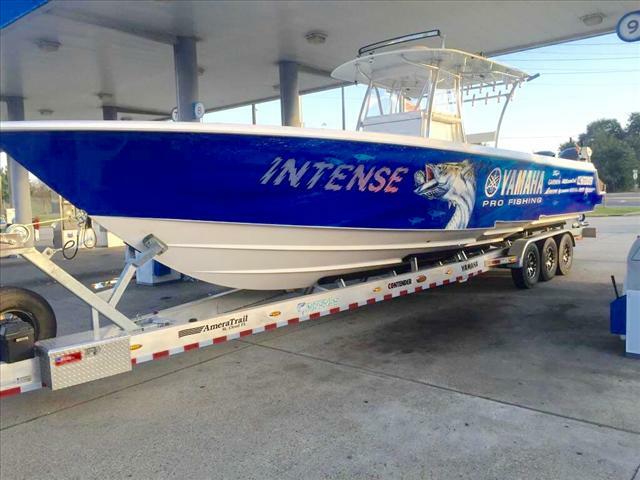 The triple 300 Yamaha's provide excellent power and performance to meet all you fishing needs. 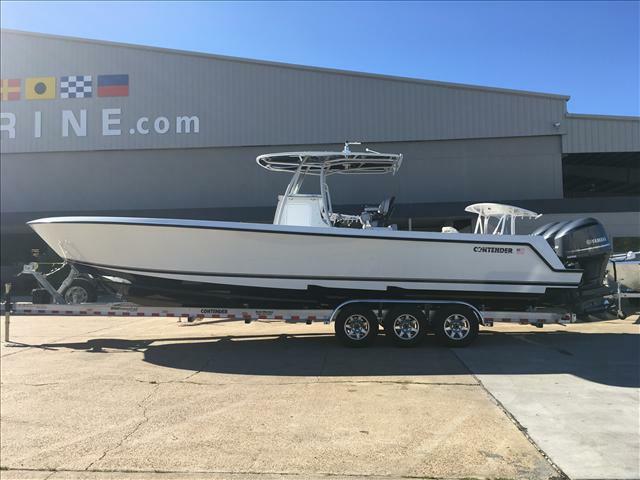 Give us a call and come by and view the one of a kind Contender 35ST! 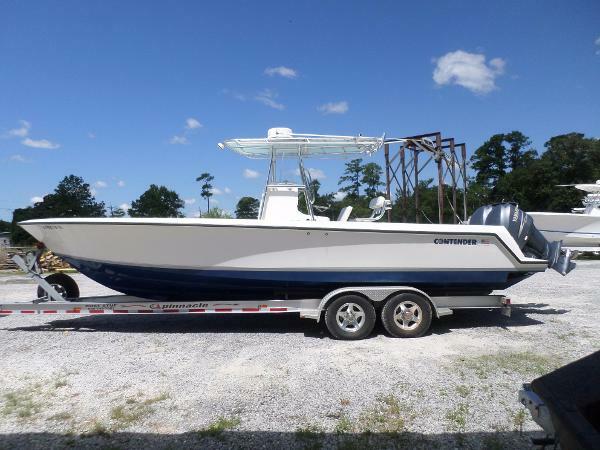 2009 Contender 27 Tournament Powered with Twin Yamaha F250BTXR with 104 hours, Command Link Gauges, Yamaha SWS SST Props, Magic Tilt Pinnacle Series Trailer with Brakes on each Axle, Spare Tire with Hub Kit, 8 Lug 16" Radials Alumn Wheels, Tournament T Top, Garmin 5212 GPS, Chartplotter, FF, Radar, Icom VHF Radio, Stereo with 4 Poly Planar Platinum Speakers, 2 Transom Livewells, Rear Bench Seat, Front Console Seat, Transom Ladder, Ocean LED Underwater Lights, and Boat Cover. 1999 Contender 31 Open, The Contender 31 Open needs no introduction. 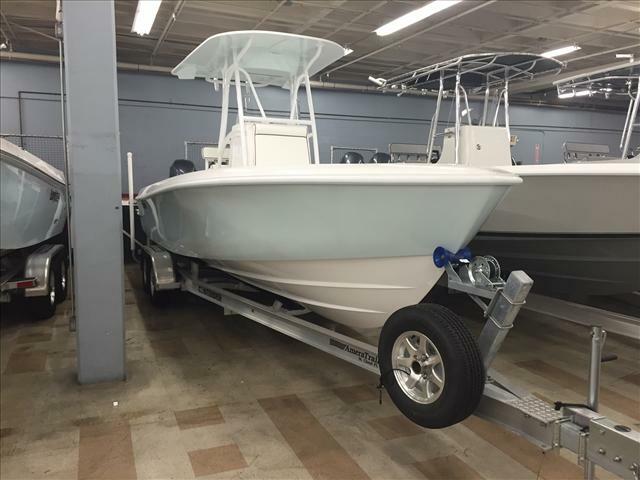 This finely crafted vessel has proven itself by continuing to dominate the offshore fishing scene for years with aggressive lines that speak for the quality workmanship that Contender is known for. 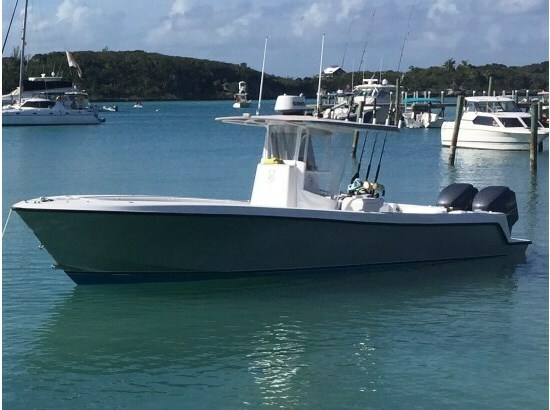 A proven tournament winner, the Contender 31 Open is cored above the waterline to reduce weight and her deep-V hull features wide reverse chines and two lifting strakes per side to provide a dry ride. If you like the water, then this boat is for you. Switch between fishing mode to scuba diving mode with ease or covert it back into the stock configuration. Each configuration can be set up within minutes! Features include a one piece level deck from bow to stern, raised live well, walk-through transom, self-bailing cockpit, in-deck fish boxes (2 forward, 2 aft), an integrated dive platform with custom built aluminum ladder, raw-water wash down, recessed trim tabs, and a walk-in console with marine head just to name a few. 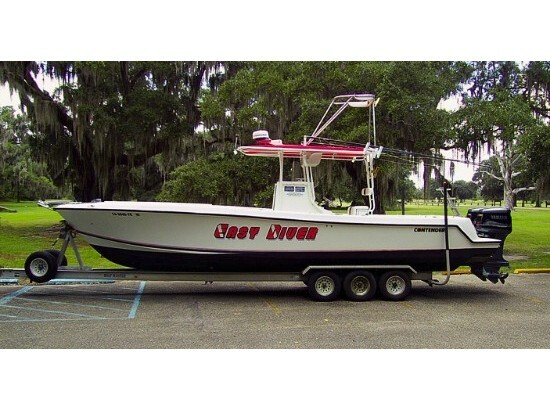 Whatever the tournament, this is the boat that can put you in the winner's circle. This Contender has had the same owner for the past decade, he is only the second. Sitting on a tandem axle trailer this fine boat is looking for a new home. 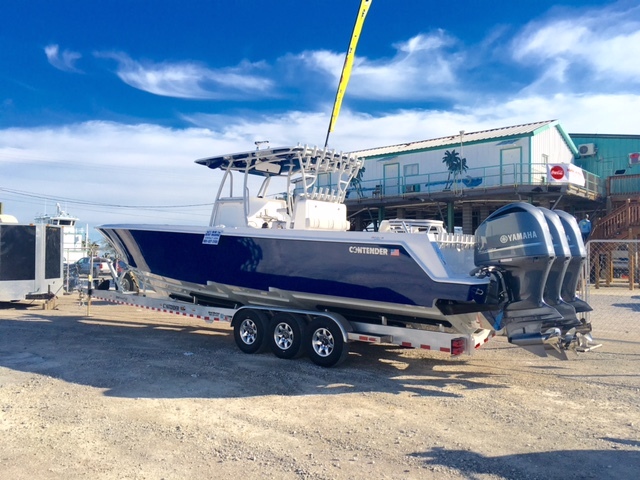 2016 Contender Offshore Center Console 35ST, In stock and available now!! 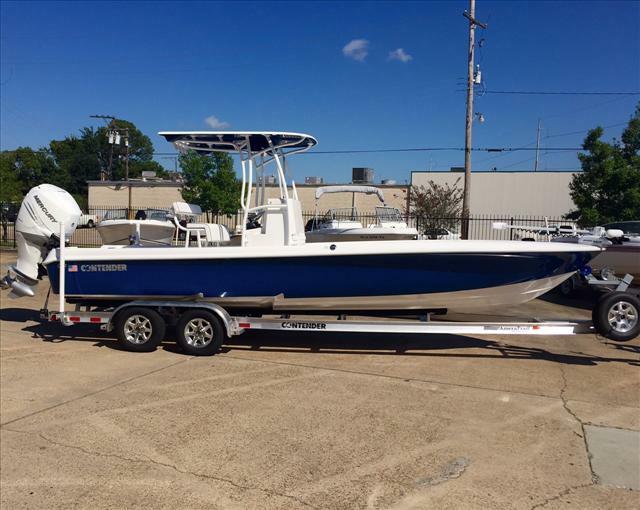 Come by today and view this beautiful Contender Boats 35ST! You won't find this custom Nautical Design tackle center leaning post in any other contender on the market! 2015 Contender Contender 25 BAY, In keeping with Contender?s tradition of hard-core fishing boats, the 25 Bay offers all of the amenities you would expect in a larger bay boat, while incorporating some previously unseen features to accommodate the whole family, too. The large casting platforms ? forward and aft ? 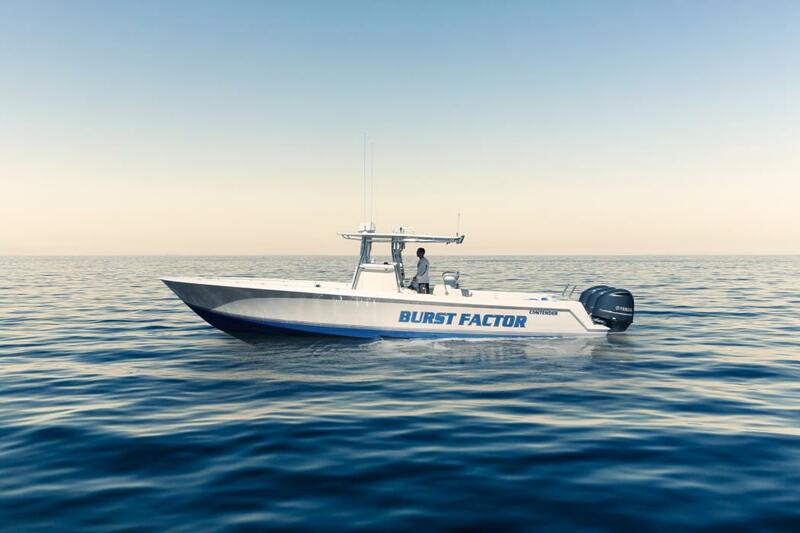 provide ample room for several fishermen without ever feeling crowded. The use of covering boards and bolster pads along the full length of the cockpit mean that you will never beat up your knees while fighting a fish from inside the boat. This boat is nicely equipped with a Fiberglass hard top with LED lighting, a 36V Ipilot trolling motor with a 10" Atlas hydraulic jack plate and an Ameratrail aluminum trailer! 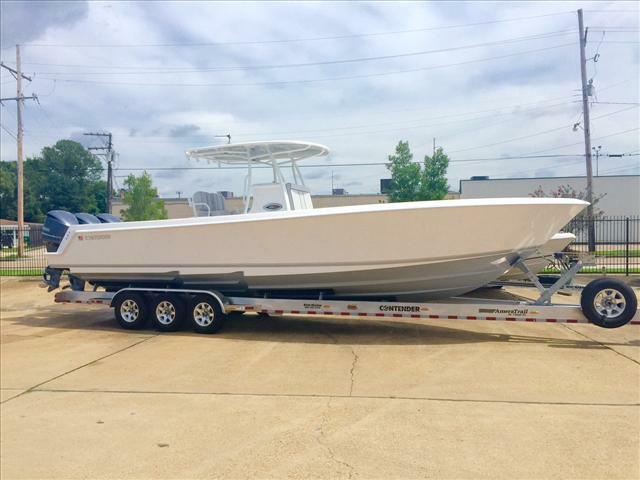 2016 Contender Offshore Center Console 355T, In stock and available now!! 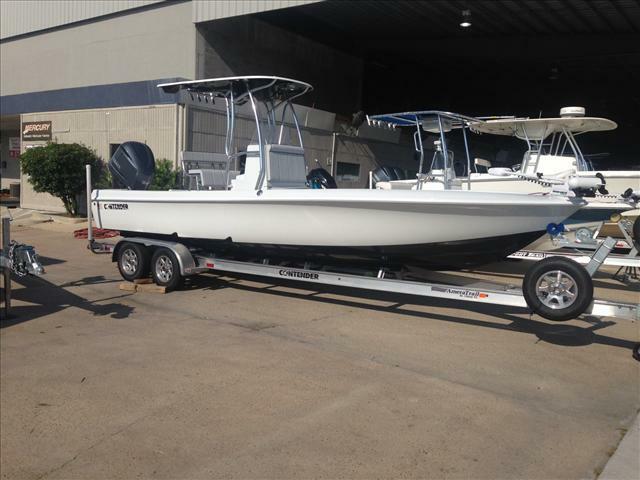 Come by today and view this beautiful Contender Boats 35ST! You won't find this custom Nautical Design tackle center leaning post in any other contender on the market!